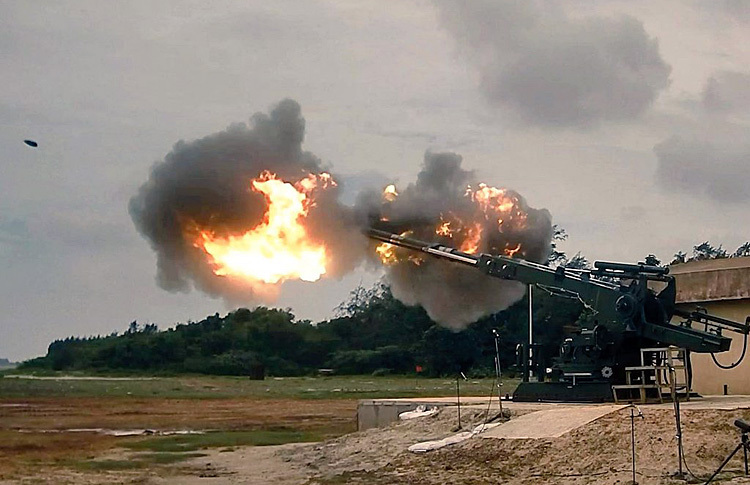 Accelerating the pace of artillery modernization, Ministry of Defence, on August 25, in a meeting of its Defence Acquisition Council (DAC) approved procurement of 150 "indigenously designed and developed 155 mm Advanced Towed Artillery Gun Systems (ATAGS) for the Indian Army at an approximate cost of 3,364.78 crores." The meeting of the apex procurement body was chaired by the Defence Minister Nirmala Sitharaman. "These guns have been indigenously designed and developed by Defence Research and Development Organisation (DRDO) and will be manufactured by production agencies, as nominated by DRDO. They are likely to be the mainstay of Artillery in the near future," the Ministry said in a statement. "A nod to these major schemes will provide a fillip to the 'Make in India' push by the Government, will help create self-reliance in the Country in Defence manufacturing sector and has the potential of making the Defence Industry as a major engine of India's economic growth," it added. Following the deal for 145 M777 ultra-light howitzers from United States and 100 K-9 Vajra T from Korea this is going to be the third artillery procurement deal. But unlike the first two, ATAGS is indigenously designed by DRDO with support of Bharat Forge and Tata group. The 155mm 52 calibre gun has been tested by the Indian Army in different conditions and reportedly the gun has claimed to have made records in terms of its range. As reported earlier by SP's Land Forces, the long-postponed 1999 Field Artillery Rationalisation Plan (FARP), under which the army aims to import, locally develop, and licence-produce around 3,000, 155mm howitzers of various categories to equip 220-odd artillery regiments these include 1,580 towed gun systems (TGS), 814 mounted gun systems (MGS), 100 self-propelled howitzers (SPHs) – all of which are 155 mm/52 calibre – and 145 BAE Systems M777 155 mm/39 calibre lightweight howitzers for the mountains. Locally upgraded and retrofitted guns will make up additional numbers.